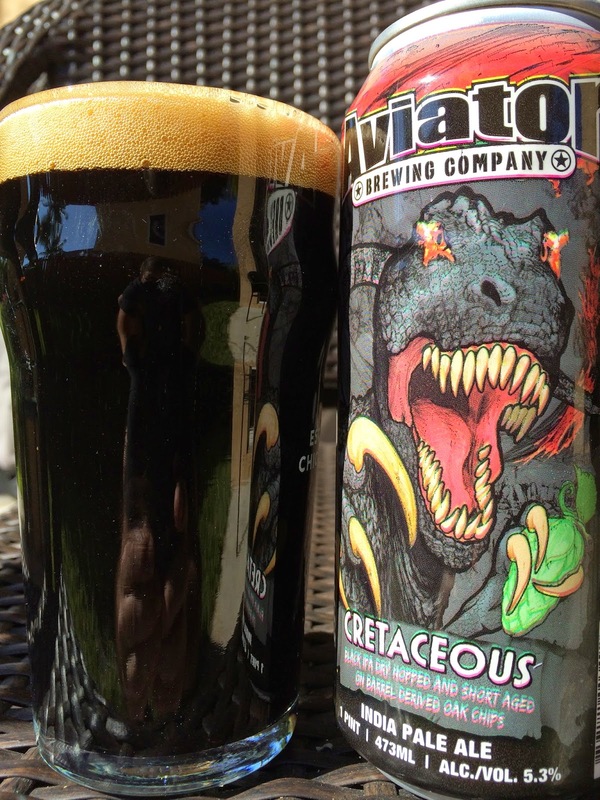 Today I am checking out Aviator Brewing's Cretaceous India Pale Ale, which is actually a Black IPA short-aged on oak chips. 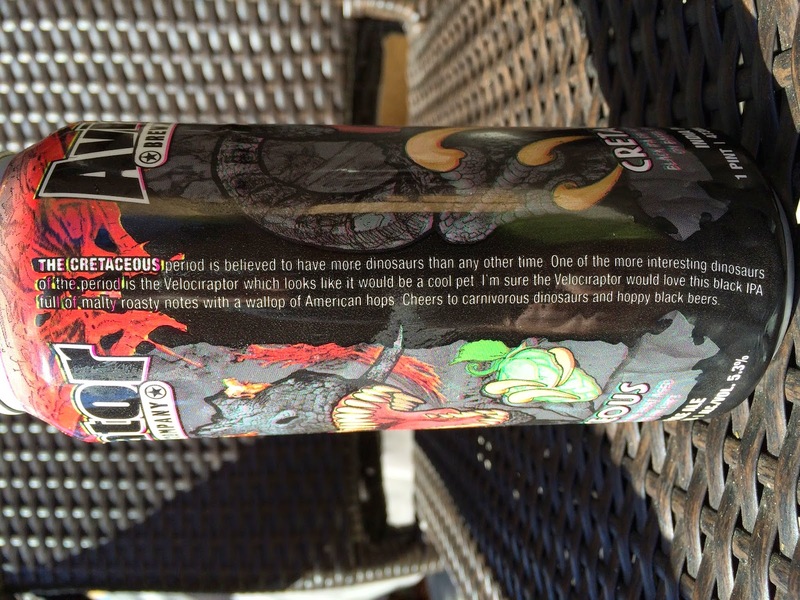 The pounder can depicts a fairly scary looking Velociraptor, and the story on the side explains the beer's name while suggesting dinosaurs might make great pets! 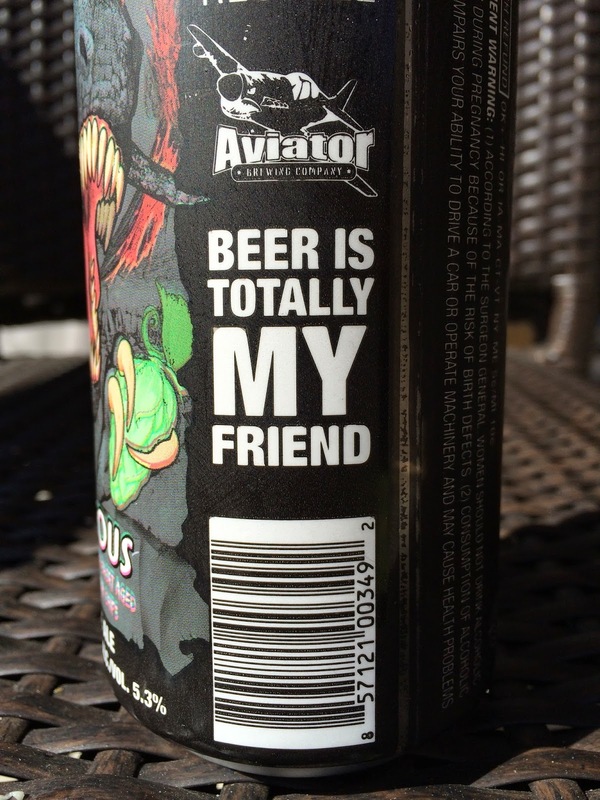 "Beer is Totally MY Friend!" 5.3% alcohol. Chocolate, some roast, lightly hoppy aroma. Chocolate is the first flavor, though roasted coffee is pronounced and comes on strong right away. Roast builds. Bitterness builds throughout. The initial sweetness eventually goes down in flames every sip to a piney, lemony, lightly astringent bitterness. That Pine-Sol, menthol-ish taste is a little off-putting by the end. A little woody dryness at the end is about it. Decent balance, though not really my style. If this is your type of beer, you'll probably think it's decent.